Hotdogs, hamburgers, sunshine, and most importantly, a three day weekend. Only a few of the reasons why Memorial Day is the best. Not to mention, it is the "unofficial" start of summer! The sunshine and warm weather is upon us, and many beach days are in our future. 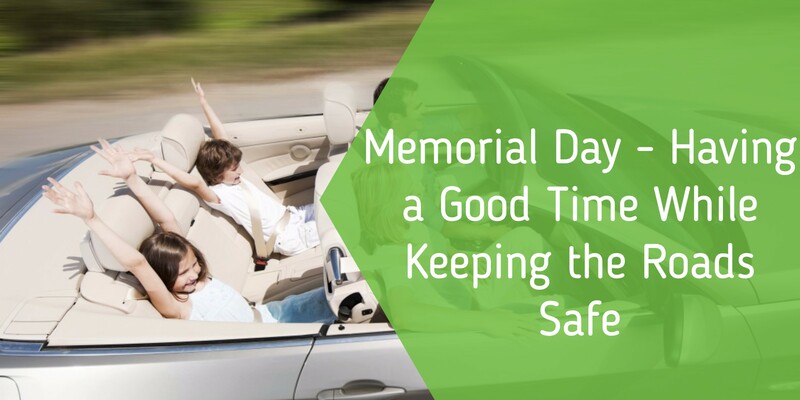 So, with Memorial Day being a big travel holiday, here are some ways to be sure you have a great time this weekend, but most importantly, stay safe out on the road. Give your car a check! The last thing you want is to break down on the road. Keep an emergency kit in your car - just in case! Wear your seatbelt. It seems obvious, but you would be surprised at how many people don't do something so simple! Put those phones away in the car! If you need a GPS, give it to a passenger to handle. Be sure children are properly buckled. Get some sleep! Drowsy driving is just as dangerous as distracted driving. If you are tired, have someone else drive. Don't drink and drive! Not only is Law Enforcement doing double duty over this holiday weekend, but you want to keep yourself, and your passengrs safe. Just don't do it. Be patient and plan ahead! Allow yourself plenty of time to get where you are going. Check the traffic BEFORE you leave. You may find there is a better, less congested route. Remember, it is a holiday weekend. Plan for it to be busy, and just stay calm out on the road. The last thing you want is to be involved in a road rage incident. Be sure your car is working properly. If anything needs to be replaced, do it before hitting the road. Take care of yourself and your passengers. Always drive safely! Be prepared to sit in some traffic and allow yourself some extra time to get to your destination. So, enjoy the sunshine, food, family and that three day weekend! After all, Memorial Day only comes around once a year! Don't have your driver's license yet? You're missing out on some fun road trips! The first step would be to get your Learner's Permit. Download our FREE Permit Prep eBook and get on the road to your driver's license.